14 Do all things without grumbling or disputing, 15 that you may be blameless and innocent, children of God without blemish in the midst of a crooked and twisted generation, among whom you shine as lights in the world. Some years ago, a woman was running for political office. And she went to a “makeover specialist” and had everything changed – her clothes, hair, makeup… everything! After she was done people that saw her thought, Is this the same person? Do you sometimes wonder what you would look like or become if you had an external makeover? It’s fascinating to think about what the change might produce! But the reality is, the Bible says it’s much more important to focus on making over our hearts. As followers of Jesus, we must put to death our sinful thoughts and attitudes every day, and instead shine like lights for God. 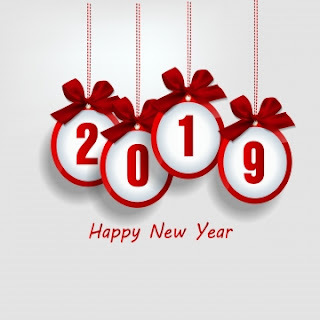 In this new year, let’s leave behind our hearts that are always complaining and be filled with thankfulness and love for all. In other words, don’t whine, shine! Dear Lord, we pray that You would help us make over our heart and shine as a light for You in the coming year. In the Name of Jesus, Amen. The Center for Disease Control and Prevention recently said that for over half the people who die before they’re 65, the basic cause of death is stress. I read one scholar who said that between 60 and 70 percent of people who go to see their physician have stress as the underlying cause of their symptoms. This is not how God wants you to live! God says we should rest in the knowledge that He is good and cast our burdens onto Him. As the new year begins, cast your burdens onto Jesus and let Him take them away. Dear Lord, help us to take the things that stress us out and give them completely to You. Thank You for being bigger than anything that comes our way. In the Name of Jesus, Amen. Now, that may sound strange, until we come to realize that 99 percent of all leadership doesn’t come from the top. It comes from the middle of the organization. There are many examples of this type of leadership in the Bible. One great one is Joseph. In the latter part of Genesis, Joseph rose from the shame of slavery to become Pharaoh’s right-hand man, thanks to his leadership among prisoners and the royal court. Ultimately, his faithful leadership meant he could lead his family out of famine. And of course, the ultimate 360-degree leader is Jesus Christ who led heaven and earth in humility from the manger to the cross. Where can you show more leadership in the year ahead? 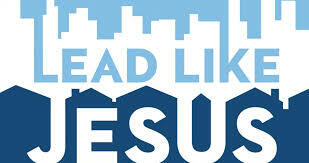 Wherever it might be, look to Christ as the ultimate Leader and follow Him as you lead others. Dear Lord, we pray that God would help us to be a faithful leader in the New Year. We pray that we would share Your love with everyone that You bring into your life. In the Name of Jesus, Amen. 50 And Jesus cried out again with a loud voice and yielded up his spirit. 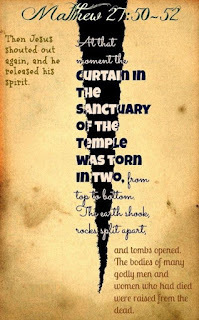 51 And behold, the curtain of the temple was torn in two, from top to bottom. And the earth shook, and the rocks were split. 52 The tombs also were opened. And many bodies of the saints who had fallen asleep were raised. There are so many things in life we don’t have access to. We see signs that say NO ADMITTANCE. EMPLOYEES ONLY. DON’T GO PAST THIS POINT. DANGER. No access. This is the way it was with God in the days before Jesus. The Jews had the temple; and the Gentiles would go to the temple, but there was a wall. The Gentiles couldn’t enter the temple. Even within the temple, only the priest could go and receive the sacrifices. He would go into the Holy of Holies once a year, and there on the Mercy Seat he could take the sacrifice and receive the grace of God, the mercy of God, and the forgiveness of God. 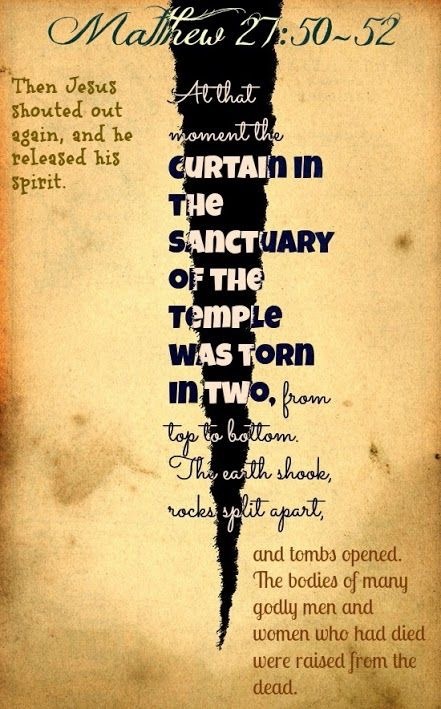 But when Jesus was crucified, the ground shook and the veil of the temple that kept everyone out of the Holy of Holies was torn. From the bottom to the top? No. From the top to the bottom. Only God could have done it. The temple was now wide open so that anybody, anywhere, and from any background could go right in and receive the grace and mercy of God through Jesus Christ! Dear Lord, we praise You Jesus for giving you direct access to God’s grace and mercy. In the Name of Jesus, Amen. 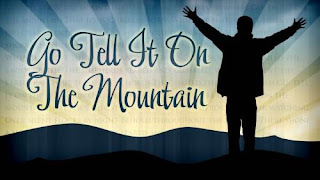 I read about a new pastor once that responded to the statement about being biblically accurate and theologically sound, rightly interpreting the Word of Truth. That is a tragic thought. If devotion is not based upon proven truth, it’s shallow. And if biblical truth is twisted, it’s heresy. It’s not going to accomplish anything. It is merely shallow sentiment. It is passing the time. We have to work hard to understand God’s Word! Why? It’s only in the Bible that we can truly know what a Christian is, what God has done for us, and what God wants to do for us. Dear Lord, help us to focus on Your Word more in the new year. 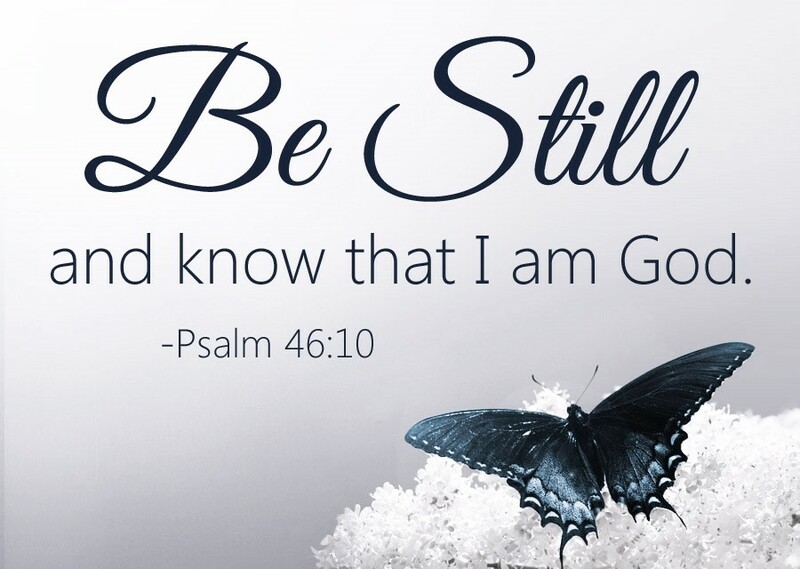 Help us to take the time to be still and study Your Word so that we may be more like You. In the Name of Jesus, Amen. In 1924, Adolf Hitler started writing his book, Mein Kampf, which means “My Struggle.” Some people ignored the book, and some laughed at it. But the words carried a message that would eventually lead to millions of people dying. We should never underestimate the power of words. A judge speaks and a person is condemned or set free. A physician speaks and a person has surgery or goes home from the hospital. A government official speaks, and billions of dollars can be spent or withheld. In your life and my life, we know the power of words. 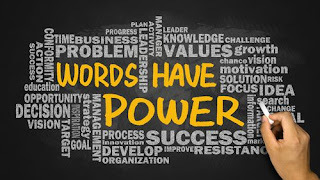 Words can bless us and words can curse us. Words can lift us and words can cut us. In the new year that’s just around the corner, commit to pay closer attention to “every word that proceeds out of the mouth of God.” Because His words matter! Dear Lord we praise You that You choose to reveal Yourself to us in words we can understand. Help us to listen and share in the coming year. In the Name of Jesus, Amen. Adoration is a word that we love to use during the Christmas season thanks largely to the classic carol O Come, All Ye Faithful as we sing, “O come, let us adore Him.” So many of us during the Christmas season spend more time thinking about Christ and giving Him adoration than any other time of the year. Think about it for a moment. More people go to church during Christmas than any other time of the year. 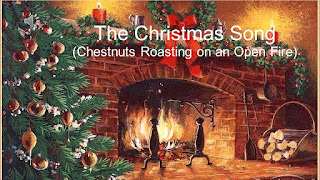 We also tend to find ourselves singing and listening to songs about Jesus more during the Christmas season than any other time of year. As a result, Christmas is a time when we love to praise Him, honor Him, and adore Him much in the way Philippians 2:9-11 describes. While it’s great that Christ earns so much of our attention and adoration during Christmas, it’s important to remember that we should pay that same amount of attention to Him 12 months a year instead of just one. 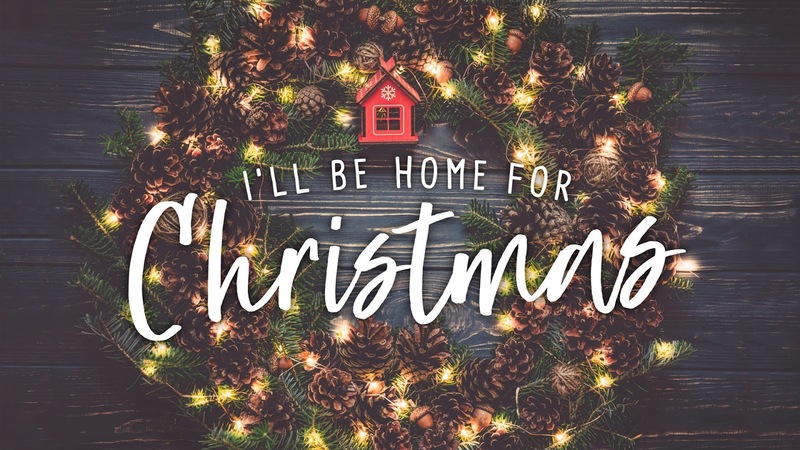 Sure, it’s easy to get caught up in the Christmas spirit and spend more time thinking, singing, praying, and adoring Christ during December, but in order to have a true relationship with Christ we must adore and spend time with Him throughout the year. 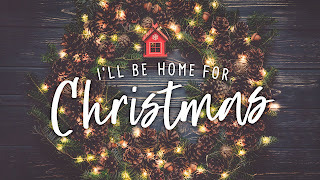 This year as you move out of the Christmas season and back into the normalcy of life, strive to find a way to capture that Christmas spirit that will enable you to adore Him and grow with Him every day of your life. What steps will you take to ensure that you spend time daily with Christ throughout the year? Dear Lord, thank You for this special day that we celebrate Your great gift. 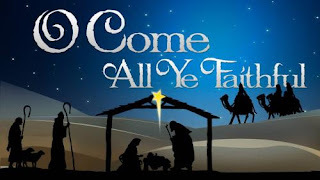 We pray that we would have the same Christmas spirit and be faithful throughout the year. In the Name of Jesus, Amen. Glories stream from heaven afar. Heavenly hosts sing Hallelujah! Christ the Savior is born! Christ the Savior is born! When I was a child, my brothers and I would pour through catalogs, go to stores (this was before the internet and cyber-browsing), and dream about all the things we could possibly enjoy for the coming year. After our lists were complete, we anxiously anticipated the gifts that would appear under the tree. The waiting felt like years, but it was worth it. Christmas morning was the best day! We spent the rest of the year enjoying my new toys! God’s children, for hundreds of years, had anticipated the arrival of their Savior. Parents told their children of the coming King: the one who would save them all. Their kids told their kids. Everyone was anxiously awaiting the One they had heard about. 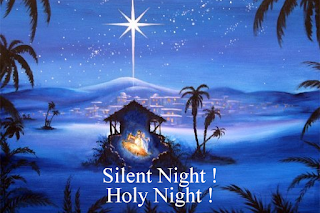 The arrival of Jesus, their Savior, was a holy night. The heavens rejoiced. Angels sang. Shepherds quaked at the sight. At Christmas, we remember this day that heaven came to earth! The day God fulfilled His promise! The day God became man to redeem his children from a broken world. Your savior is here. He is present! You don’t have to anticipate something you already have. Celebrate. Enjoy the gift you have received! In what areas of your life are you waiting and anticipating God’s presence? Dear Lord, we thank You for coming to Earth to fulfill the promise and to redeem us in this broken world. In the Name of Jesus, Amen. 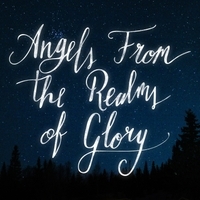 The actions of the angels are one of the most exciting aspects of the Christmas story from Luke 2. First, an angel suddenly appears to the shepherds to tell them the good news of Jesus birth (Luke 2:9). Then, as if the shepherds haven’t had enough, a multitude of angels suddenly appeared in full concert to finish it off (Luke 2:13). This was an epic celebration like nothing ever seen in the Bible, and it was displayed not for the government officials, the upper class of the city, or the spiritual elite, but for the lowly shepherds. What a beautiful tension and a perfect picture of the power of Christmas. It is the biggest news that mankind could ever know! The celebration is led by the very angels who live in the perfect presence of an all-powerful God, and yet, the message is meant for the lowly and broken. How can you celebrate and worship Jesus throughout this Christmas season? Dear Lord, we thank You for this amazing time of the year. Help us to each take the time celebrate and worship You and share the joy with those around us. In the Name of Jesus, Amen. So many of us hold Mary, the mother of Jesus, in very high esteem because she was chosen by God to carry His Son and bring Him into the world. It was the greatest task anyone has ever been given. Even though we hold Mary in high esteem, it’s important to remember that she was a normal person just like us. In fact, she probably battled fear as much if not more so than most people. She was an unmarried teenager that found herself miraculously pregnant after an angel told her she would give birth to the Messiah. She was probably afraid of the great task that God had given her and dealt with fear from the backlash she and Joseph received because of the unique pregnancy. She probably battled fear on their long journey to Jerusalem, as she was nine months pregnant and travelling on a donkey. Despite her fear, however, she remained faithful to God and the task they were given. 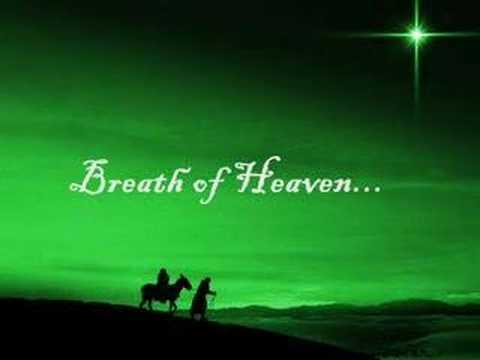 The song Breath of Heaven gives us a prayer that Mary most likely prayed asking God to hold her together, be near her, and to light her darkness. How many times have you prayed a similar prayer? Christmas is a joyous time, but the reality for many of us, is that it’s hard to experience joy in the midst of all the turmoil and trials that are happening around us. Just as God protected and guided Mary through a difficult time, allow Him to guide you this Christmas. Pray and share with Him what troubles your spirit, and allow Him to restore the joy of Christmas within you by holding you together, being forever near you, and lighting your darkness. What are some things you can do to reclaim joy and hope in your life? Dear Lord, in the midst of all the things that want to steal our joy please help us to seek Your joy and the hope we have in You. In the Name of Jesus, Amen. The first time a woman finds out she is pregnant, she is filled with joy and searches for the best way to share the news with her husband, friends, and family. When a man is ready to propose marriage, he knows he has to find the right way to ask the question and share the news. Words can sometimes fail to fully convey the truth of good news. So, when God was ready to bring Jesus into flesh on earth, how did He bring the Good News? 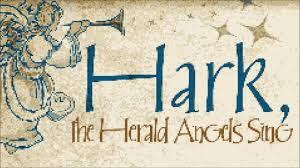 In the greatest spectacle, “a vast host” of angels appeared to seemingly random shepherds in a middle-of-nowhere field. Holy light shone down and their voices rang out - it’s the sort of blockbuster, showstopper you would expect for the greatest event in history. The only odd thing is the audience (“lowly” shepherds), and how few of them were probably there. Maybe that goes to show that no stone should be left unturned when we are sharing news like this. 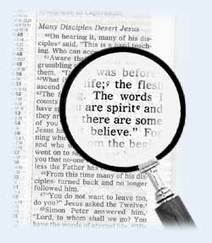 When Jesus began teaching, He did not spread the Good News by word alone. The blind received sight, the lame walked, and the dead were raised – all to communicate beyond words what the Good News meant. Is there a way for you to share the Good News in a more powerful way than through words? Dear Lord, help us to look for ways that we can share Your Good News to those around in ways other than using words. In the Name of Jesus, Amen. 27 But God chose what is foolish in the world to shame the wise; God chose what is weak in the world to shame the strong; 28 God chose what is low and despised in the world, even things that are not, to bring to nothing things that are. 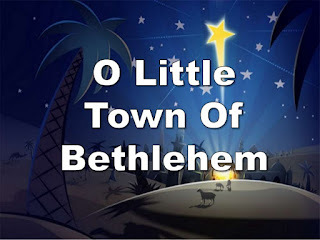 Bethlehem was a town that was considered tiny and insignificant. 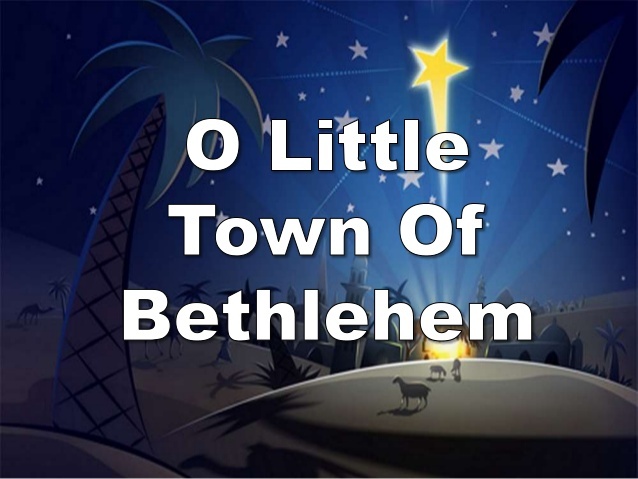 Micah 5 describes Bethlehem as being “….small among the clans of Judah.” Yet Micah went on to say “out of you will come for me one who will be ruler over Israel.” Sure enough, Jesus was born in Bethlehem some 700 years later. The significance of insignificant Bethlehem can’t be understated. God loves to work in amazing ways through the unlikely and the overlooked. It’s easy for all of us to feel undervalued and unimportant, but that is exactly the type of person God will use. Think of the endless ways God could use you if you surrender to His will. Actually Bethlehem did have some significance before Jesus’ birth. Among other things it was also the birthplace of David, Israel’s greatest Old Testament warrior and king. However, this is also another example of God’s amazing sovereignty. David was the youngest son of Jesse, who considered him the unlikeliest of his boys to become king. But God saw through all that and had him anointed the next ruler of Israel. Again, God was working in ways that are outside of man’s conventional wisdom. We tend to see our life and circumstances through a man-made perspective. Once we realize that the Lord works in mysterious ways that are far above our own, we will be more ready for Him to use us in an exciting way. What action will you take to allow God to use you in a significant way? Dear Lord, we thank You that You use each of us in a special way no matter how insignificant we think we are. In the Name of Jesus, Amen. In the midst of so much imperfection, the night Christ was born can be considered one of the most perfect nights ever in the history of mankind. God used difficult circumstances (travelling on a donkey with a very pregnant wife) and an uncomfortable location (not even a hotel room, but a barn with only a manger to sleep in) to bring His perfect and holy Son into the world. God could have easily made Jesus’ birth triumphant, but He chose not to. The way God brought His son into the world is much the same way He works within our lives. Oftentimes God takes the imperfections in our lives and uses them to perfect us. God loves to transform physical and emotional scars and use them to grow us into stronger people. He also desires us to take what we learned from our imperfections and help others who may be struggling with the same things. Jesus was a light to reveal God to all the nations, and we can reflect that same light as well. Don’t let your imperfections hold you back. Instead, allow God to use them to shape you into the person He designed you to be, which is a light in a dark world. Give God your weaknesses so that He can turn them into your greatest strengths. In what ways do you see yourself as being a light to reveal God’s truth to others? Dear Lord, help us this Christmas Season to be the light that reveals Your love to those around us. In the Name of Jesus, Amen. …new hope, new life. Many things come to pass with the birth of a new child. For a season, everyone, forgets their own weariness and own problems. This tiny creature will change people’s lives…forever. Expectant mothers gain a lot of attention, as friends and family are typically very intent on being involved in the entire process of pregnancy up until the very end. When the moment finally occurs, there is nothing like the sound of a newborn baby’s cry to validate the life that has been growing and developing over the past nine months, and create such overwhelming joy. The same excitement that comes from physical birth also occurs when we experience spiritual birth in that moment when we ask Christ to become our personal Savior and Lord of our lives. In fact, many people now celebrate both their physical and spiritual birthdays because they understand the day Christ came into their life is just as important as the day they came into being. Imagine the joy that was evident at Christ’s birth since His physical birth would ultimately change mankind forever. We can have spiritual rebirth because of His physical birth. John 10:10 says, “One…came…that they might have life, and that they might have it more abundantly.” We have a new life all because of one child: Jesus. As you reflect on this Christmas season, be thankful for what God did by sending His only Son so that we can have new life. 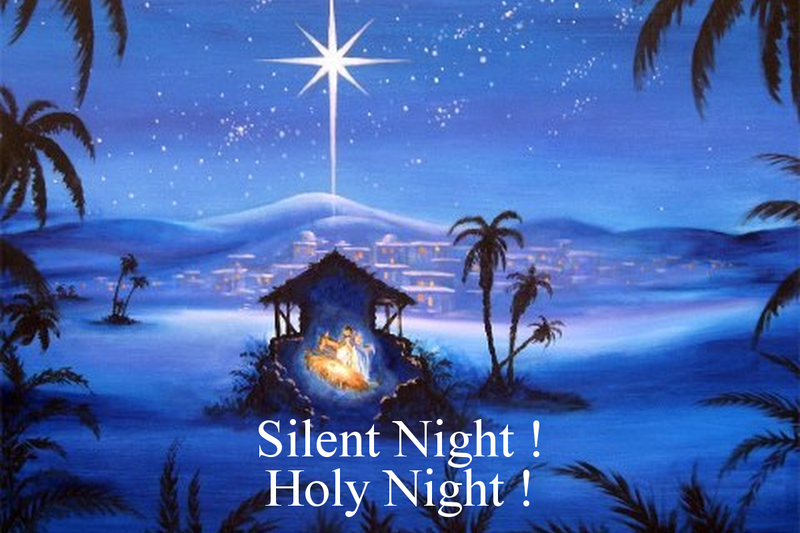 Be thankful for that holy night when a child was born so that we could be born again. What does new life in Christ mean to you? Dear Lord, as we reflect this Christmas season help us be thankful for what God did by sending His only Son so that we can have new life. In the Name of Jesus, Amen. It’s often difficult for people to understand that Jesus was born just like us. He wasn’t born in a luxurious palace or a fancy hospital. He was born outside, in a manger. He came into a world filled with sin, yet he lived an absolutely perfect life. He came to lead us, and guide us into a loving relationship with God. The three wise men are a great example of what complete submission to God looks like. The moment they saw the star they dropped everything they were doing and embarked on a long journey that was most likely difficult at times. The men had no idea where they were going, but placed their complete trust in a star to lead them. They devoted everything to seeking Him no matter the cost. 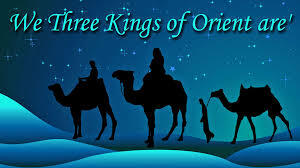 Just like the three men in this song followed a shining star to see Jesus when he was born, if we submit ourselves to God, He will direct our paths and be a perfect guide for our lives. Try to remember a time when you did submit something to God. What was the outcome of that situation? Dear Lord, help us to submit ourselves to You knowing that You will direct our paths and be a perfect guide for our lives. In the Name of Jesus, Amen. The night was silent, except for the beating of his heart. It seemed so loud to him, he wondered if his traveling companions could hear it too. He was nervous to see a king, but he kept walking, holding tightly to his drum. His heart was about to beat out of his chest. The others were carrying beautiful boxes filled with precious gifts, gifts worthy of a king. He had nothing but his drum, which suddenly seemed an inappropriate instrument to play for king, not to mention a newborn king. If only he had a more soothing instrument, like the harp the shepherd boys sometimes play. His heartbeat was deafening as he stood before the King. And then Mary nodded. The King’s mother nodded at him. She actually wanted him to play. 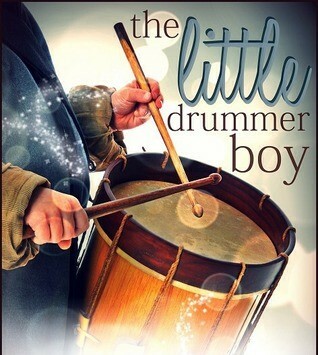 He raised his sticks and began to tap the first pattern that came into his head, the rhythm of his beating heart. And so the Little Drummer Boy gave his heart to God. He played his best. He gave his best. How often do we feel our gifts are not good enough? We compare ourselves to others, wondering why their gifts seem so much more “useful” for the kingdom. We want to teach like our pastor, or sing like our worship leader. Or maybe we want to share our blessings, but at times, we don’t feel very blessed. We can’t give what we don’t have, but rather than lamenting our lack, we need to look for our “drum,” the one thing that only we can give. The truth is God already has teaching like the pastor’s. He already has singing like the worship leader’s. And what He wants, what He can really use, is your heart. Think of how you can bless others this season, and in turn bless God. You don’t have to spend money. You just have to give of yourself, of your heart. Just like the little Drummer Boy. Jesus smiled at him. Think of Jesus smiling at you. Kind of makes your heart race, doesn’t it? Listen. Are you giving your best to God? If not, how could you give your best to him today? Dear Lord, help us to give you our very best this Christmas Season. Like the drummer boy we want to give You our heart. In the Name of Jesus, Amen. It is widely known that noël is the French word for Christmas, but do you know the origin of the word? 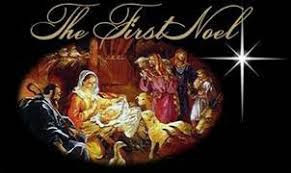 Noël comes from the Latin word natalis, meaning “birth.” Therefore, the title of the hymn, fully translated, is “The First Birth.” This song is about the nativity story, the birth of Jesus as we read in the Bible. Angels came to Joseph and Mary, telling them, “She will give birth to a son, and you are to give him the name Jesus, because he will save his people from their sins” (Matthew 1:21). Jesus came to save us from our sins. That is what this season is about for us: the remembrance of the birth, and the life of Jesus. He was born here, lived here, died here, and was raised again here, all so that we would have a new way to have a relationship with God. This song reminds us of the hope of salvation that came with the birth of Jesus. We celebrate not only the newness of His life, but also the opportunity of new birth offered to each one of us. The King is born! His blood will make us new! Whatever sin, whatever shortcoming, whatever failure, whatever weakness you have, a child was born, and he has come to save you. 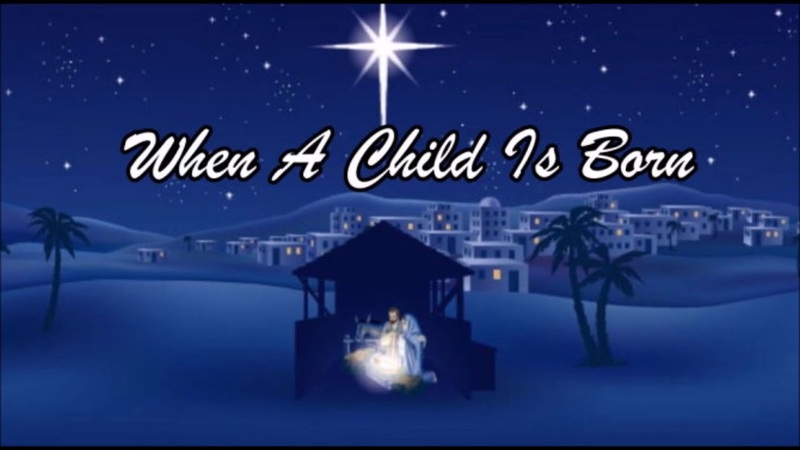 How could His birth change the lives of people you know this holiday season? What will you do about it? Dear Lord, thank You for coming to Earth that first Christmas. Thank you for the change it has made for us. Help us to share the good news with all those around us this Christmas. In the Name of Jesus, Amen. If there’s one song that has the “Christmas Spirit” it’s this one. It makes us think of a scene from a Norman Rockwell painting. Or maybe we imagine carolers coming to our doors while we offer them some tasty, apple cider fresh off the stove. We attend parties at friends’ houses and services at church. Let’s not forget about being all bundled up on Christmas morning with our families while the most beautiful snowflakes fall to the ground. And then in the midst of our Christmas illusions, our children storm into the room yelling “Mom!” or “Dad!” because someone hit them, or because one of them use the other’s pellet gun without asking, or because one of the neighbors took their basketball away, or because they fell off the zip line. Oh, for the love of all that is good and right in the world, can we not stay in our little piece of Christmas paradise just a tad bit longer? That’s life, isn’t it? No matter how perfect we try to paint the canvas of our lives, there will always be something extra put on it that wasn’t in our minds when we dreamed it. Something that cramps our perfect picture. Something that breaks our heart. A loved one who died prematurely. The betrayal of a friend. God isn’t surprised by the interruptions in our lives? In fact, nothing surprises Him. Don’t mistake bad things happening in your life as His loss of control. No, this is not about His ability but about His sovereignty. While we may wish that bad things would never happen in our lives, they will happen. Jesus said we’d have trouble (John 16:33), but He also promised that He’d calm us in the midst of it (John 14:16). So, no matter where we are in life, whether we expected to be on the path we are on or not, rest assured, that our God can make broken things beautiful. Friends, we know that in all things God works for the good of those who love Him, who’ve been called according to His purpose (Romans 8:28). Press on and trust in the One who will never let you down. How have you seen God in control in the midst of life’s interruptions? Dear Lord, we thank You that even in the disasters around us we can rest in the fact that You are in control and weren’t surprised by the situations that we are going through. In the Name of Jesus, Amen. 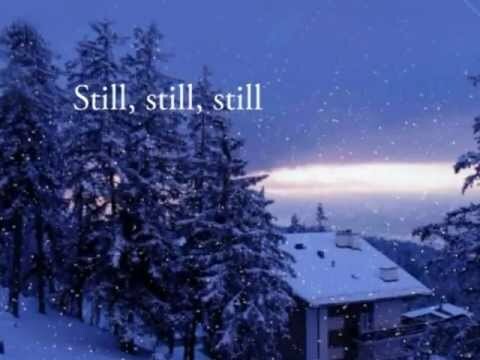 Still, still, still, One can hear the falling snow. Still, still, still… These words do not seem to have a place in the hustle and bustle of a busy life, especially at Christmas time. Parties, presents, and projects usually have us in a frantic frenzy as we rush from one event to the next. Often, before we know it, Christmas day has come and gone. Only then do we realize that, despite our good intentions, we never experienced the peace that comes from truly relishing in God’s amazing love for us. Isn’t it interesting that God commands us to “Be still”? Do you think it’s because He knows we sometimes have a hard time doing it on our own? What happens when we actually take time to be still? The answer lies in Psalm 46:10…”Be still and know that I am God: I will be exalted among the nations, I will be exalted in the earth”. When you are still before God, you better understand that whatever you are facing, whatever your day has been like, you can completely rest in the fact that God is God. He’s awesome and amazing and sovereign. He loves us more than we can imagine and He’s got things under control. Spend time today purposely pursuing stillness in different moments. Perhaps you could wrap up in a blanket & head outside for a peek at the stars, wondering what that holy star looked like, the one that signaled Christ’s birth many years ago. Maybe take a minute to watch your young child sleep and wonder as you gaze at that sweet face, what Mary and Joseph thought of their newborn son. Open your Bible, read a favorite Scripture…then sit and wait. 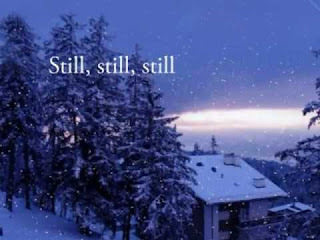 What truths resonate in your soul about Christ as you take time to be still before Him? Dear Lord, help is to be still and listen for Your voice. Thank You so many years ago for coming to Earth to show us the way. In the Name of Jesus, Amen. It’s fun to look at a tiny baby and imagine what he will grow up to become. It could be anything – a pilot, a policeman, a chef, an astronaut, a pastor, or a million other options. The future is wide open and full of possibilities. Jesus was born with one purpose. As it says in the carol, he was “born that man no more may die.” His birth was all about our new birth. In 1 Peter 1:3, Peter praises God for the “new birth into a living hope” – and all that is possible because Jesus laid aside his glory and offered Himself in our place, taking the punishment of death we deserved for our sins. His death and resurrection gives us new life. As you go about your business and your busyness of the season, intentionally take a few moments to slow down and remember that Jesus was born to give YOU a second birth. What a reason to praise Him! Who in your life doesn’t yet realize the true reason for Jesus’ birth? What will you do to share it with them? Dear Lord, open our eyes this Christmas Season to those around us. Help us to share the true meaning of Christmas with them. I the Name of Jesus, Amen. The term home is simply defined as this: Where one resides; a familiar setting; a place of origin. Where’s our home? Our home is the place where we spent most of our years growing up and making memories. It’s where we took our first steps. It’s where we learned to drive a car. It’s where we had our first crush. It’s the place where we graduated high school and college and maybe even met our spouse. A place where we’ve grown into the people we are now. Home for us is where we feel at ease with those we love the most. It’s the place where we can be ourselves and not worry about the world outside. "Friends, this world is not your home, so don’t make yourselves cozy in it. Don’t indulge your ego at the expense of your soul." "What if my greatest disappointments or the aching in this life is the revealing of a greater thirst this world can’t satisfy." Only Christ can satisfy. Only His presence and peace can bring us pure, unadulterated joy. Only His comfort can truly take us off the ledge of disappointment and disaster. One day we will truly be home with Him. Not just for Christmas but for eternity. And what a day of rejoicing that will be. How can you allow Christ to satisfy you and to fulfill your every need this Christmas season, instead of relying on what the world can give? Dear Lord, thank You that You can satisfy our needs. Thank You for Your presence and the peace it can bring us. In the Name of Jesus, Amen. Over 2000 years ago, the Savior of the world was born. Have you ever stopped to think about how people found out about His birth? After all there was no Facebook and no cell phones. 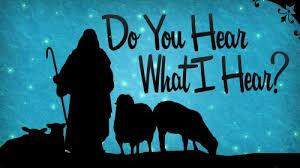 The song “Do You Hear What I Hear?” gives us an example of how the news of His birth might have spread. Here’s the great news: this too is our calling as followers of Christ - to share with others what we have been told! God reveals Himself to all of us in different ways, depending on our personalities and gifts. For some, He shows us visible things about Himself, like a star in the sky. Others may grow closer to Him best through reading scriptures, some through singing praises to Him. The question is what are we doing with what God gives us? We have to realize that God will use us to bring people to Him through what He has revealed to us individually. 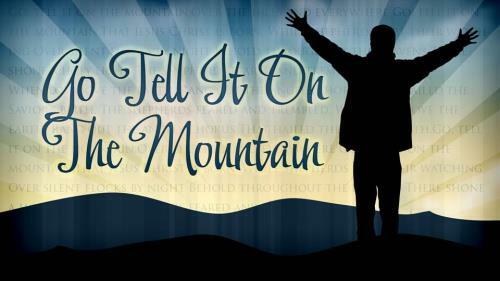 Dear Lord, help us to take what we have heard and know and share it with others. We pray lives will be changed because of what we share. In the Name of Jesus, Amen.